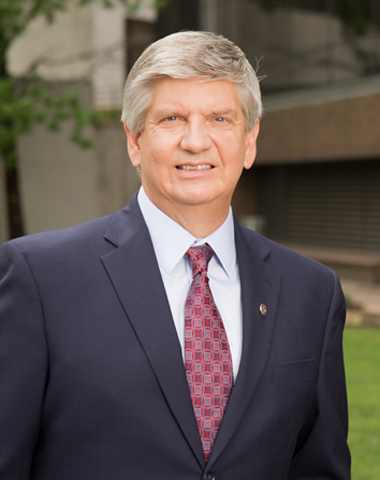 Mike Linscott is a civil litigation veteran and experienced trial lawyer, having tried more than 35 jury trials in the federal and state courts of Oklahoma, Texas and Pennsylvania. Particular strengths include insurance bad faith claims, personal injury claim defense, environmental cases, product defect claims, probate and trust disputes, business disputes, construction cases, oil/gas and real estate litigation, and arbitrations. Mike’s clients include, insurance companies and their insureds, property management companies, municipalities, mineral interest owners, construction companies and other business entities. Clients count on Mike to help them avoid and prepare for potential litigation before disputes arise. This preparation starts at the beginning of the relationship with contract drafting and effective communication. His experienced counsel puts the right strategies in place early on and often helps his clients resolve issues before expensive litigation is necessary. Successfully represented a business client against unfair trade practices and breach of contract claims. Successfully defended a national life insurance company against claims of breach of contract and bad faith. Successfully defended and resolved a rural water district 7 U.S.C. sec. 1926(b) case against a Northeast Oklahoma municipality and its utility authority. Successfully defended a national window distributor in multi-state litigation alleging product defects and breach of warranty claims for tens of millions of dollars covering over 70 hotel sites in 42 states. Initiated and was part of the team of attorneys involved in the successful prosecution of a large Oklahoma municipality’s claims to clean up its water supply resulting from animal waste. Successfully defended a large national banking institution in a breach of loan participation agreement brought by the other participant banks arising from construction of a multi-million dollar office building in Dallas, Texas. Obtained a multi-million dollar judgment in Texas for an Oklahoma distributor against an out of state manufacturer for tortious interference and fraud. Represents several insurance companies in breach of contract/bad faith litigation. Represents a national property management company that acquires properties in Oklahoma for development with a national retail chain: entity formation, closing assistance and related litigation. Successfully tried a Lemon Law case to a jury in federal court and won a defense verdict for a major international automobile manufacturer. Member of the Board of Directors, NatureWorks, Inc. NatureWorks sponsors an annual Wildlife Art Show and Sale in Tulsa to raise money for wildlife conservation efforts. 02.02.15 Michael S. Linscott Elected President of Natureworks, Inc.